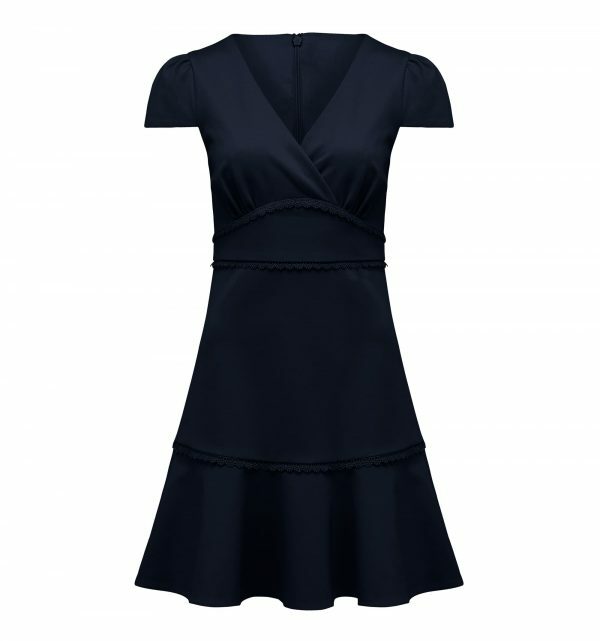 This chic navy ponte mini dress features delicate lace trim for a polished finishing touch. Wear yours to work with heels and a blazer. Outer: 67% Viscose, 28% Nylon, 5% Elastane. Contrast: 100% Polyester. Lining: 95% Polyester, 5% Elastane.